In any sport when the underdog wins, it makes for great entertainment. 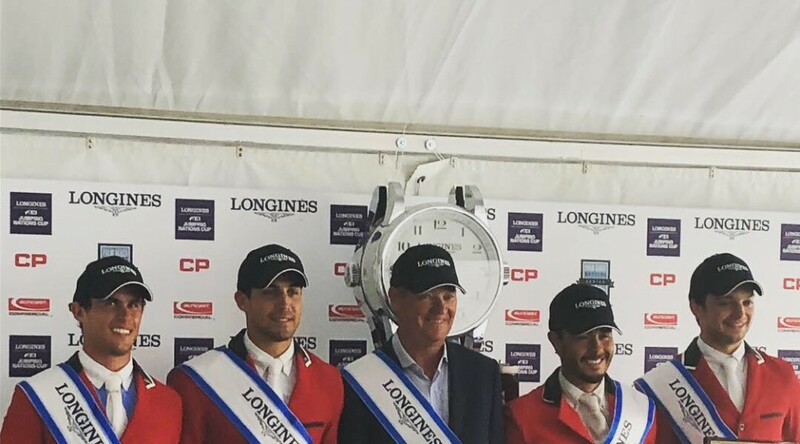 So when the Mexican team took a decisive victory in the very first leg of the Longines FEI Jumping Nations Cup in Wellington, Florida the press conference was a joyous affair. The youthful foursome fought off some of the world’s most successful nations including the USA, Canada, and Ireland. In fact, it was the youngest two Mexican riders with the least team experience who sealed the deal with their double clear performances. These came from 23-year-old Eugenio Garza Perez riding Victer Fin DHZ and 24-year-old Manuel Gonzalez Dufrane on the athletic grey mare Hortensia van de Leeuwerk. The other two riders played their part with low-faulted rounds from Fernando Martinez Sommer (29) on Cor Bakkar and Juan Jose Zendejas Salgado (25) riding Tino la Chapelle. 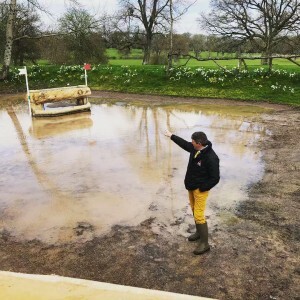 Tryon’s FEI World Equestrian Games™ 2018 course designer, Ireland’s Alan Wade, set a track that tested rideability, and the final line of a one-stride triple combination to big oxer proved the undoing of many. However with three first-round clears the Mexicans were already in command at the halfway stage on a zero score, trailed by Ireland and USA on eight, Israel close behind with nine, last year’s Wellington winners from Canada on 12 and the three-member Colombian side already trailing the field with 16 on the board. 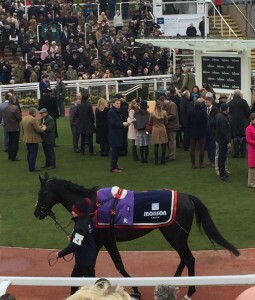 He was a member of the historic site that posted that spectacular win in Dublin last August. “That day was an inspiration to us all!” he pointed out. 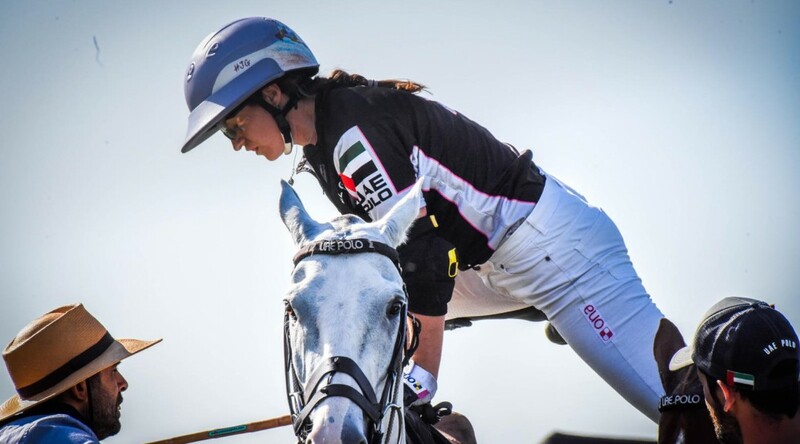 And now the main Mexican goal is a place at the Longines FEI Jumping Nations Cup Final 2019. “There’s an Olympic place on offer in Barcelona and we intend to take it!” He said. Team Israel had a great show too. Daniel Bluman’s double-clear with Ladriano Z bolstering an impressive all-round performance that saw them add nothing to their first-round nine-fault tally for the second spot. 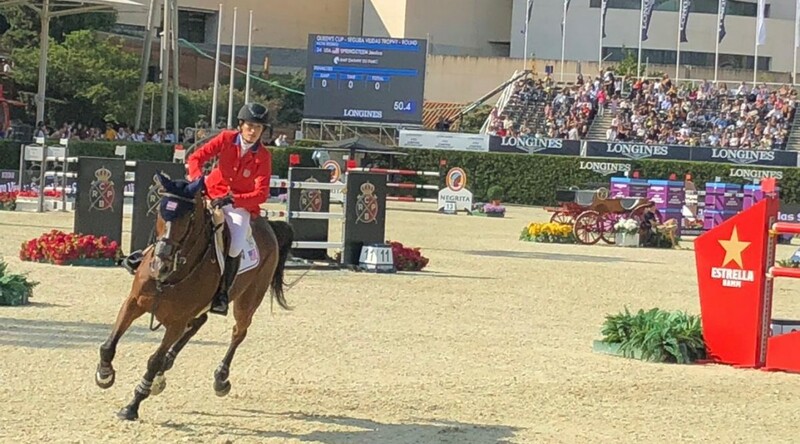 The Americans looked strongest at the outset, with an extremely experienced team of Beezie Madden, McLain Ward and Laura Kraut joined by young star Lucy Deslauriers. But single errors proved costly, so they will be hoping to turn the tables when their regional League moves to Mexico next time around. Only Mexico, USA, and Canada were entitled to qualifying points in today’s competition, so they claimed 100, 80 and 60 points respectively. Jessica Springsteen is one of America’s most successful showjumpers. 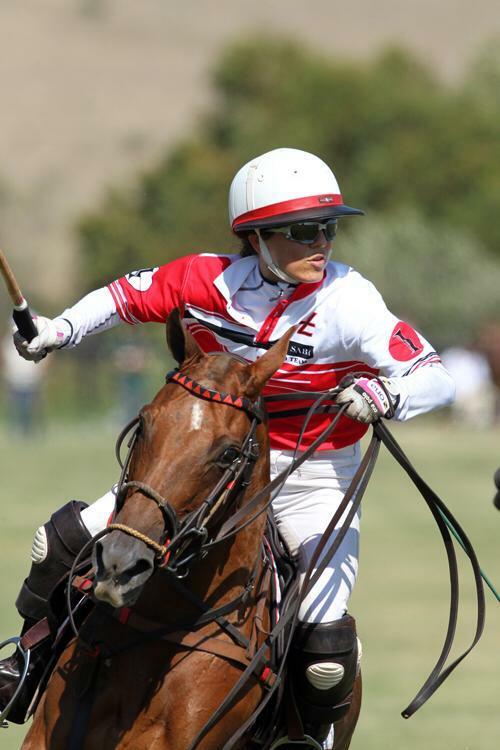 She has won a number of International Grand Prix and more than a million pounds in prize money. Secondary to her riding prowess, she is the daughter of Rock legend Bruce Springsteen aka “The Boss”. 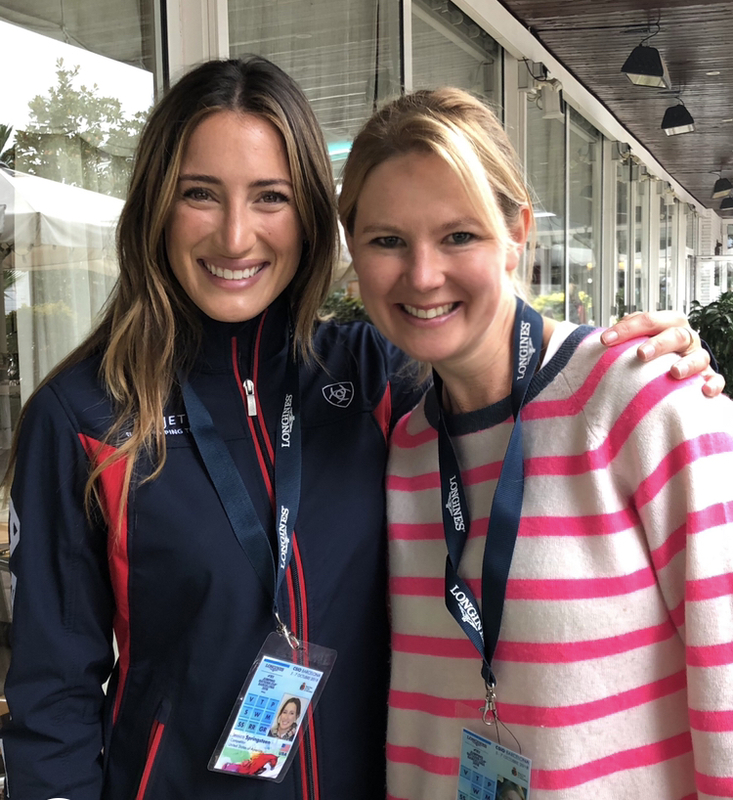 Whilst reporting at the Longines FEI Nations Cup Final, Ellie Kelly caught up with the 26-year-old in Barcelona about horses, love life and life on the road. You made it on to the American squad here at this prestigious team event, how did you feel about that? I was so excited. I always wanted to come to Barcelona for the Nations Cup Final. To be picked for the team was a huge honour for me- to represent my country is always my goal. Which horses do you have here in Barcelona and how would you describe them? They are both the sweetest horses in the world; they are so cuddly and kind and have amazing attitudes. They are both so confident and brave that they make you feel so comfortable when you go in the ring, which makes it fun to ride. I love them both. How long have you been riding them? It’s a newer partnership with both; I started with Swinny last October and Cecille in January. With Swinny, I clicked with her right away, she’s just my ride but Cecille was a slower start but now I feel so comfortable with her at this level and we made a good partnership. 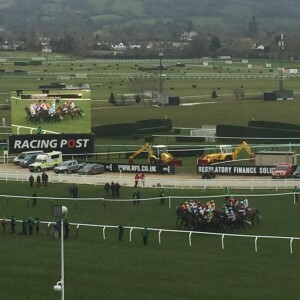 We witnessed a great win here in one of the individual classes- The Queens Cup. How would you sum up your performance? I was so happy. Swinny jumped amazing and there was a lot in the jump off and that is where she shines. She is naturally fast so I could do extra strides in places where people had to leave them out and I was still able to be faster. She’s the kind of horse that gives you a lot of confidence and you really feel you can go in there to win. You compete all over the world but what do you think of this event here in Barcelona? I love competing in Spain. Everybody is so nice here, the spectators are so enthusiastic and it’s lovely and warm. It’s a lot of travelling and living out of a suitcase but you do get to travel to so many amazing cities and venues all around the world and that is an experience that you would never really get otherwise. It definitely doesn’t feel like a job to me. I love it and I can’t imagine doing anything else. How many horses do you ride each day? Right now I have nine horses and I’ll try to ride about six a day. Any more than that and I feel like I can’t give them the proper work. I’m normally at the barn all day when I’m at home because I travel so much, so it’s important to spend time with the horses and make sure everything is going well with them before I head to the next competition. Do you ever ride and compete younger horses? I’ve just bought a six-year-old horse but most of mine are a little bit older because I am on the road so much that I don’t really have time to train the younger ones. But I definitely think that is the way to do it- buy them a bit younger and bring them on because then you really develop a nice partnership. How do you manage competition nerves? When I am really nervous, I just try to remember as much as possible that I get to do what I love every day and I am so lucky to do that. I try to just enjoy the moment with my horse as much as possible and I try to feel prepared with. My horse when I am going into the ring. I remind myself “you know what you are doing, just stick to your plan and try to enjoy it” and that always helps me. There’s not much of that. Whenever I have a week off, I try to go home to see my friends and family in New York and we have a farm in New Jersey. You are dating Italian rider Lorenzo de Luca, what the gossip on that? I’m very lucky (big grin). It’s really nice to be in the sport with someone who really understands everything it takes. We see each other quite often. At the same show pretty much every week which is really nice. Growing up I used to watch Laura Kraut, who I trained with for many years. She is amazing; she’s such a fighter and can ride any type of horse. Mclain Ward and Beezie Madden are great idols we have in the US and to be at the same shows as them, you learn so much just by watching. Then to be on a team with them now is really cool.